So towards the end of July, we had to go and grab a birthday present for our Aunt and for that we headed straight to Lush. Now come on guys you know what we’re like, we obviously couldn’t resist picking up some bits for ourselves! Considering we are trying not to spend too much (we’re saving our pennies for Lush Oxford Street!) we bought so much between us that we had to split it into two posts! This first post shows some bath products that we purchased! There is so much choice in Lush so when it comes to choosing what bath bomb to get, I’m always left um-ming and ah-ing about what to buy! I picked up Twilight firstly because the design really stands out to me. I love the light pink colour and the stars and moons are a nice touch! I can imagine the reason for this is because it is meant to be the perfect bath bomb to use before bed, as it’s filled with soothing lavender oil to help you sleep. It has a slight scent of lavender although I’d say it reminds me more of candy floss! I can’t wait to use this bath bomb and hopefully it can help me sleep since I’ve been struggling lately! This one doesn’t look too exciting on the outside but I’ve seen videos of Dragon’s Egg in action, so it’s one of the many bath bombs I knew I needed to try! Plus the name is really cool so of course I needed it?! The smell is quite fresh and citrusy, almost like sherbet. I love anything that smells of lemon so the fact that this bath bomb contains lemon oil is a bonus. It also has popping candy in it and since I love a fun bath I’m so excited to use this! 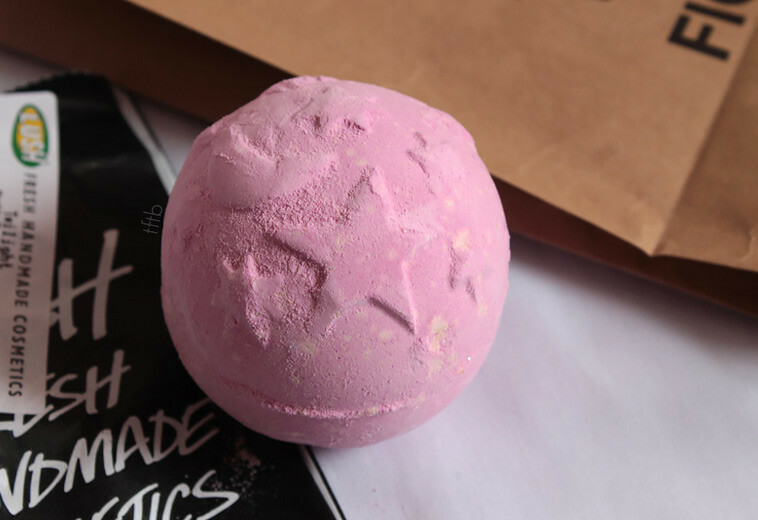 I can imagine Dragon’s Egg will be really refreshing and believe it or not, it turns the bath gold and glittery so I can’t wait to see this for myself! Normally I would never even look at the ‘fun’ range. It has never been something that appealed to me, kinda because it reminds me of Play-doh! One of the lovely assistants was going through some products with us as yet again we couldn’t decide what to get. 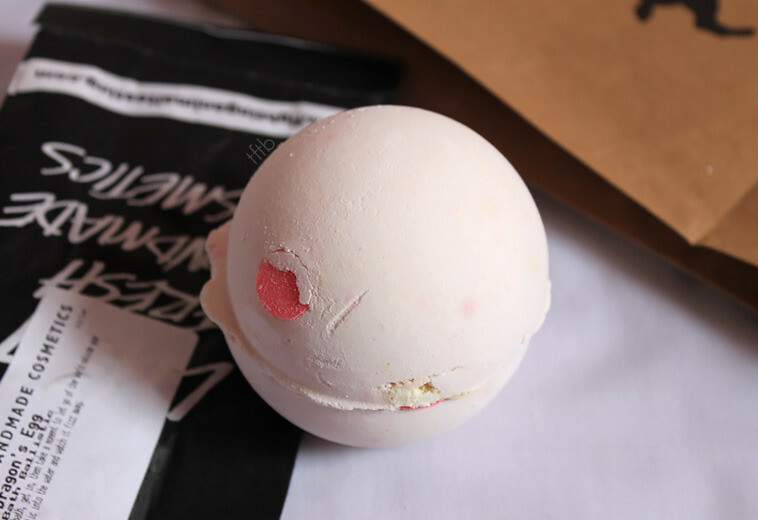 She told us that one of her favourites items is fun, that the smell is amazing and it’s super bubbly. After her showing us how it works, we decided to go and smell all the different colours. I decided I’d go for pink, it reminds me of candyfloss and other sweet treats! Although Fun is priced at £5 you get a fair amount and the best part is you can use it in 4 different ways. If you’ve read some of our previous Lush posts, you’ll know that Lauren has purchased Creamy Candy before! 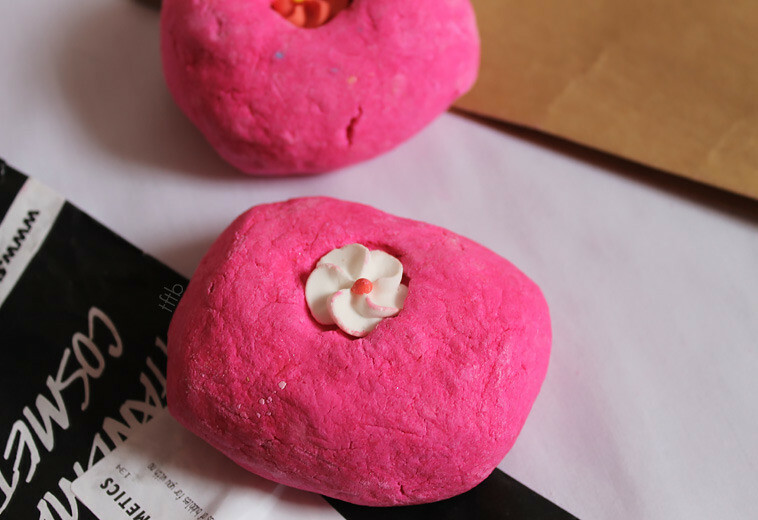 Lush have now revamped this product and as soon as we laid eyes on it we knew we both had to get it this time! The colour is now a bright fuschia pink, which of course means brighter baths and the bars seem to be quite a bit bigger. We also felt that although it still has the same scent, the revamped bar is a lot stronger! So that’s it for part 1! 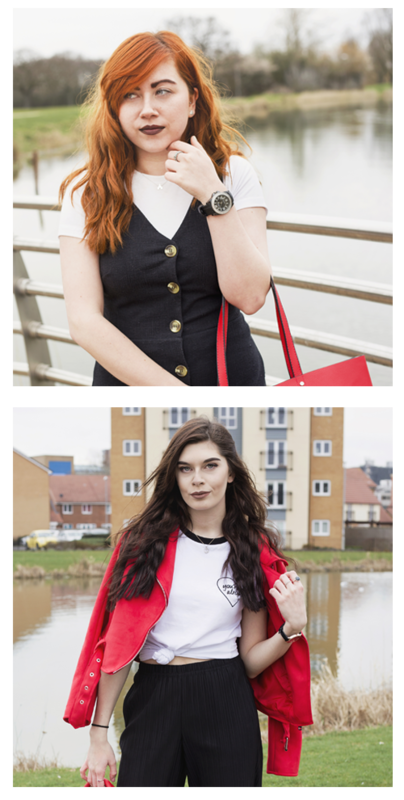 The next part of our haul will be up soon and features even more lovely products! We’re also heading to Lush Oxford Street next week so if you have any recommendations, tweet us or leave a comment! I can’t wait to see Part 2 and see what other goodies you lovely girlies got! We wish smell o vision was a thing too! They all smell so so good!!! I just LOVE Lush – I haven’t been there in a while. I need to get myself there! These all sound so lovely! Good luck in Lush Oxford Street, I spent £65 there o.O no self restraint!